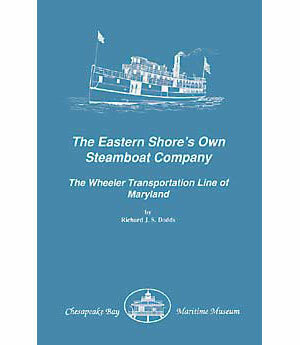 Pieced together from official records, published works, newspapers, oral interviews and the few surviving company records, The Eastern Shore's Own Steamboat Company is a brief history of the Wheeler Transport Line. The company, which operated in the great era of steamboat travel in the latter part of the 19th century, was the product of the drive and vision of Caleb C. Wheeler, a native of Caroline County on Maryland's Eastern Shore. Starting with sailing vessels and then moving to steamboats, Wheeler built the only steamship company based on the Eastern Shore.